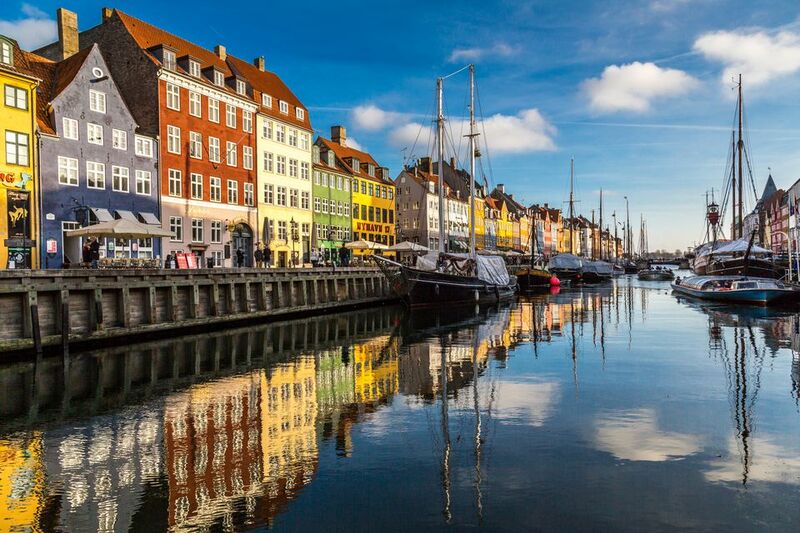 Copenhagen is well known for its famous Little Mermaid statue, but there is far more to this cosmopolitan city with its illustrious history. It dates back to the 11th century, and with its intriguing painted, harbor-front buildings, its delightful restaurants and cafes, its trendy shopping streets as well as its natural wonders, it goes without saying that you are in for a splendid time. What to pack for Copenhagen will be determined by the time of year you choose to visit, and it is no secret that Copenhagen is particularly pleasant to visit during summer. The weather is far milder in summer and the days longer, and there is a lighthearted aura which settles over the city. It is a wonderful time to visit because this is the time when plenty of outdoor festivals and markets create a festive carnival atmosphere. People ride bikes, enjoy picnics in the park, and head for the beaches. What to pack for Copenhagen in the summer will be much the same as summer clothing in other cities around the world. Just add in a light, waterproof jacket. Summer is from June to August and a daytime average temperature in June, for instance, will be 19 degrees Celsius. July and August are also the wettest months of the year, so bring a waterproof but light coat. The Scandinavians may wear casual clothes, but these are always well-fitting, chic, and stylish. Attractive t-shirts, shorts, sandals, light-weight long pants, jeans, sneakers, long and short skirts, short sleeve shirts and blouses are ideal for packing into your Copenhagen luggage if you want to enjoy your summer Copenhagen getaway. Whether you visit in winter or summer, a trendy pair of sunglasses will help to improve your vision and protect your eyes from glare when you are on the beach or taking part in the many outdoor activities on offer. For both men and women, a sturdy, functional everyday shoulder bag is a great idea for putting in all your personal items as well as putting in a hat, light jacket, or an extra pair of socks. Hiking and walking are popular in Copenhagen, and there are even some special footpaths in the city. If you want to escape the city though, there is the Green Path for hikers, which is 9 kilometers long and also known as The Norrebro route. If you love walking, packing a sturdy pair of walking shoes is essential. If you want to go on walks, also bring a pair of thick walking socks as well as a hat and sunscreen. Getting soaked in the rain, whether you are out walking or sightseeing in the city, can sometimes be fun on holiday, but, if you want to avoid being drenched with a sudden downpour, pack a raincoat, some rain pants, and an umbrella. Remember that, while winters are always freezing, summers are less predictable, and, while they are mostly pleasantly warm, you will always need to pack a warm jacket for an unusually chilly or windy day. Winter in Copenhagen begins around October or November. The Christmas market at Tivoli is all about Christmas trees, lights, and lots of shopping and eating. Some essentials would include a warm coat or a full-zipped fleece jacket, gloves, boots, a scarf, and warm pants.